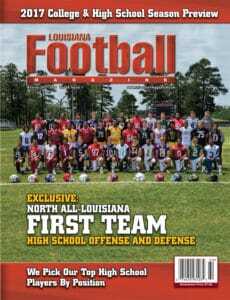 The Thibodaux Tigers had to replace one of the program’s greatest players in do everything player Amik Robertson, who made an impact everywhere on the field including on the defensive side of the football and is now already making a lot of plays as a freshman at Louisiana Tech. Even though the Tigers lose a once in a decade type of player in Robertson, they return one of the best defensive linemen in the entire state in Darius Richard. Richard may not be a skill player like Robertson, but he is a versatile defensive lineman that can line up along the front whether it be at nose guard or at defensive tackle. At 6-2, 310 pounds, Richard is a hard person to move off the snap of the football. Not only is he hard to move, but he has a lot of athleticism and quickness for a guy of his size. Richard is a guy who can totally shut down an offense’s gameplan especially if their gameplan is to run the football between the tackles. There is a lot to like about this senior defensive lineman. 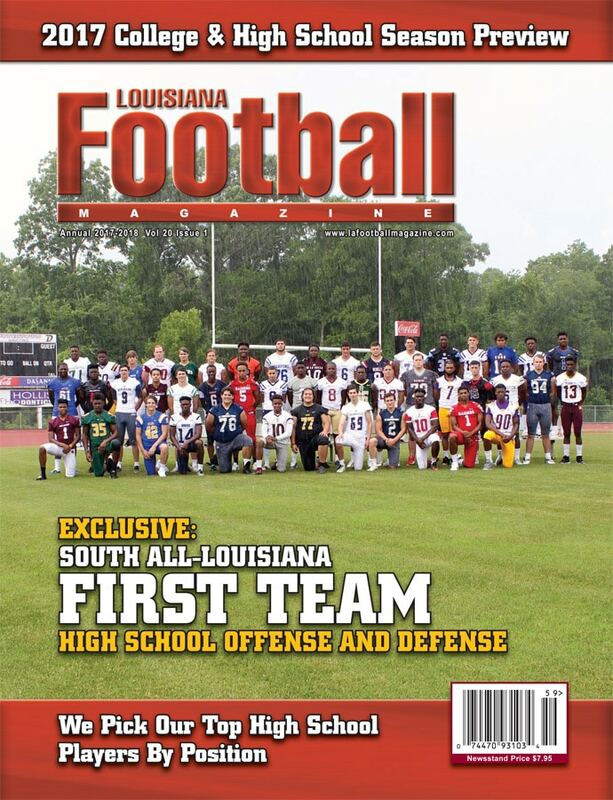 Over the summer, Richard was chosen to be on the cover of our South Louisiana Football cover by our very own Lee Brecheen. According to Brecheen, Richard can be a big time player at the next level as a nose guard. As already mentioned, the All-District defensive tackle has received offers from a lot of the in-state colleges as well as a lot of big time Power Five schools. Richard has not yet made a verbal commitment or decision to where he wants to play at the next level, but whatever college gets him in the end will get a major upgrade on the interior of the defensive line. 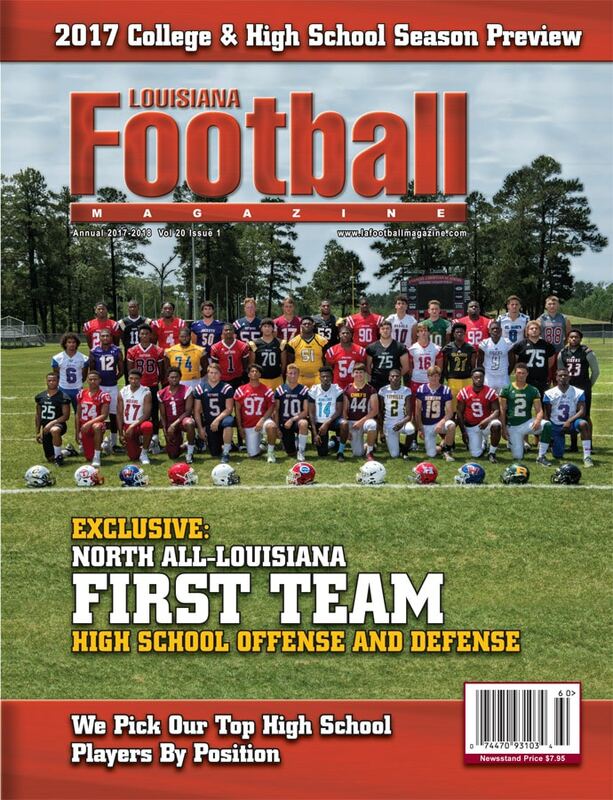 In today’s recruit spotlight, we caught up with the three year starting Thibodaux defensive lineman as he talked about his top schools, being on the cover of the magazine, the slow start to the season, advice he has received from former teammate Amik Robertson, and so much more! LAFM: You have been offered by a lot of DI schools so far. What are your top schools as of right now? 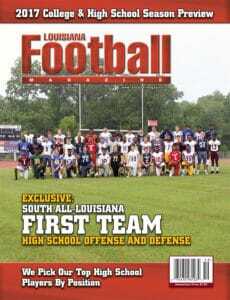 My top schools are Kansas State, Southeastern, ULL, FAU, ULM, Mississippi State, Texas, and Arizona State. My strength, I.Q., and athleticism are the biggest strengths to my game. I need to improve on my agility the most. LAFM: Last year, the team made the playoffs and finished with a 6-5 overall record. What are your overall thoughts on how last season transpired? Last season, we had a great team but injuries had us down. Key injuries happened to guys like me, Amik, and a bunch of other guys. I would say the number of tackles for loss that I have had over my career would be my biggest accomplishment. LAFM: What are some things that you look at when you are choosing a school? I look at the academics and if I will play early. LAFM: Last year, Amik Robertson was the leader of this team and it seems that you are that guy this season. Has Amik given you any advice on how to adapt to that leadership role? Yes, he told me just to keep everyone up when they are down and that we are going to be fine. 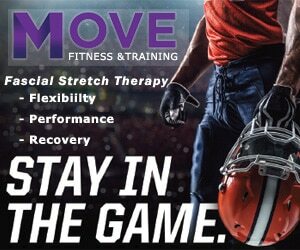 LAFM: Who is a college or NFL player that you model your game after and why? I model my game after Aaron Donald (Pittsburgh/Los Angeles Rams) because he is just an monster on the field. LAFM: What is the best game of your high school career so far and what is it about that game that sticks out to you the most? I don’t think there is a game that sticks out the most to me. All my games are considered my best games. LAFM: What are your goals for the rest of this season? My goals for this season is to win the district championship and make a run at state. LAFM: There are a lot of talented offensive lineman in the state. Who is the toughest offensive lineman that you had to go up against and why? They are all the same to me, and I am not going to let any of them block me. I want to thank my parents and grandparents for putting me in the position that I am in today. LAFM: What is one word that best describes you as a football player? LAFM: What is your message to the Thibodaux team and fans for the rest of the year after a rough 1-4 start? Thibodaux fans, don’t count us out yet!